Mark Cahill has devoted his life to giving people the information they need about the big questions of life. When we stop and think about what lies ahead for each of us after this life is over, we want answers. Real answers. Answers that are backed up by hard evidence and hard facts. And that’s what Mark Cahill provides in his bestselling book One Heartbeat Away,which now has over 800,000 copies in print. Mark Cahill knows that people from all walks of life need clear information so they can reason through these all-consuming questions and come to the right conclusions. To that end, he has written this book in a simple, straight-forward manner so that anyone, from ages 8 to 80, can easily grasp the concepts it covers. People from across the world appreciate Mark Cahill’s conversational style that is punctuated by bottom-line truth. His unique writing style packs a big punch as he helps readers understand the subjects they need to consider without confusion. Mark Cahill grabs the attention of his audience from the outset of One Heartbeat Away and holds it. Mark Cahill creates intrigue by putting his finger squarely on the subjects that are on the minds of many: Does God exist? Can we prove God exists? Are the Bible and science in conflict? How do we understand the debate between evolution and creation? Can the Bible be verified as objective truth? How can we find peace in life and with God? What is the good news? Is there any bad news? Do our decisions about life and death matter? Mark Cahill answers back by addressing the reality of our spiritual existence, the implications of our decisions, how eternity is rushing toward all of us, and how our last breath might be coming sooner than any of us might imagine. He also looks at the fascinating last words of celebrities, philosophers, and world leaders as their final moments arrived. Did they have regrets about the decisions they made in life as the certainty of death was before them? Since these monumental questions about existence demand answers, and since the expanse of eternity is looming in the distance, Mark Cahill wants to prepare everyone with the information they need for the moment when they are one heartbeat away from the other side. Knowing that our last breath can come unexpectedly, the time to examine these subjects is now! 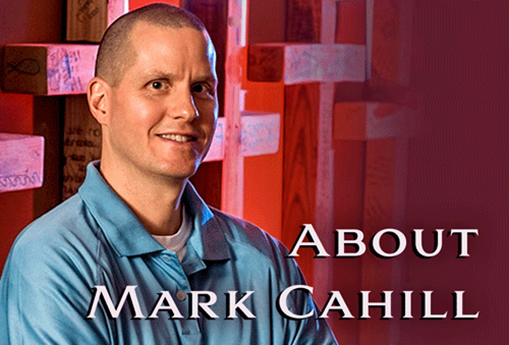 Mark Cahill graduated with a business degree from Auburn University where he was an honorable mention Academic All-American in basketball. He worked in the business world at IBM and in various management positions before deciding to teach high school and enter into full-time ministry. He has appeared on various television and radio programs and has spoken to thousands at conferences, camps, retreats, etc. Mark hears from people all over the world who express their deep thanks for this book and other books he has written. His favorite thing to do is to meet people and find out what they believe and why they believe it. And you can find him doing just that wherever people are gathered in public places or are found on the highways and byways of life.